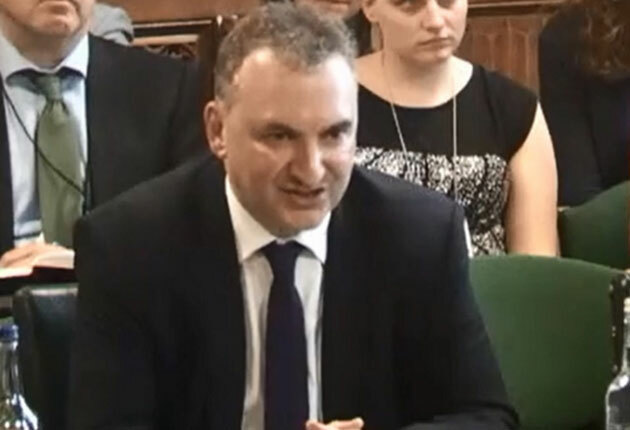 The head civil servant at the Department for Education (DfE) Chris Wormald will move to the Department of Health later this year. Mr Wormald was appointed Permanent Secretary for the DfE in March 2012. But the government announced today that he will take up the same role at the Department of Health, replacing current boss Dame Una O’Brien, who will stand down at the end of April. Mr Wormald, who said his new appointment was a “privilege and an honour”, joined the DfE in 2012, having previously worked as director general in the deputy prime minister’s office and as head of the Cabinet Office’s economic and domestic secretariat. He has also served as director general for local government and regeneration at the Department for Communities and Local Government, and was principal private secretary to former education secretaries Estelle Morris and Charles Clarke. Mr Wormald appeared before MPs on the House of Commons Public Accounts Committee hearing on October 19 that ‘overseeing financial sustainability in the FE sector’, as reported in FE Week. He addressed the issue of whether new school sixth forms should be approved while post-16 area reviews are going on. Hwe told MPs that the reviews would not influence approval decisions “at this moment”. Education secretary Nicky Morgan and cabinet secretary Sir Jeremy Heywood, who is head of the paid civil service, both paid tribute today to Mr Wormald and his tenure at Sanctuary Buildings, but no details of plans to find his successor have been announced. Ms Morgan said Mr Wormald had done a “superb job” in leading the DfE, and played a “crucial role” in major reforms. Sir Jeremy Heywood echoed Ms Morgan’s praise, and said he would bring a “wealth of leadership, implementation and policy experience” to his new role. Years ago I heard the former head of the ILEA (remember them?) John Bevan say that the difference between senior local authority officers and senior civil servants was that the latter never stayed in the job long enough to have to clear up after their own mistakes, which was why they kept making them! I think he said that evidence of mistakes usually started to appear after about 4 years. It looks as if the same ‘musical chairs’ practice still applies. I guess people in HMRC and Ofqual would also see the point with the imminent departure of their respective chiefs.